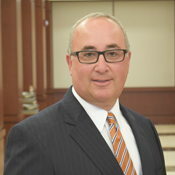 Michael Schankerman is a Financial Advisor with One to One Financial Advisors. He provides objective and customized insurance and investment strategies to help meet the financial needs of his clients. Mike received a Bachelor in Science in Business from Indiana University’s Kelley School of Business. He holds designations as a Certified Financial Planner™ Professional, CFP®, a Chartered Financial Consultant, ChFC®, a Certified Fund Specialist, CFS®, a Chartered Advisor for Senior Living™, CASL®, and a Retirement Income Certified Professional, RICP® . He is also a member of the Million Dollar Roundtable and of the Financial Planning Association. Mike is a 29-year resident of Carmel, Indiana. He has been married to his wife Karen since 1985, and they have three wonderful children. In his free time, he enjoys walking, reading, spending time with family, and geography. Michael Schankerman is a registered representative of and offers securities, investment advisory services & financial planning services through MML Investors Services, LLC, Member SIPC (www.SIPC.org). Supervisory office 900 East 96th Street, Suite 300 Indianapolis, IN 46240 Phone (317)469-9999. One to One Financial Advisors is not a subsidiary or affiliate of MML Investors Services, LLC or its affiliated companies.